Yellow Tail is an Australian wine brand that, from its small and humble beginnings in 2001, has become one of the world’s most profitable brands in the industry. But how could a “new” Australian brand conquer the American wine market and export its products to Japan and the UK? This case study aims to understand how a small brand managed to become a big player in the wine industry, especially in the USA, through a very clever marketing strategy. The story of Yellow Tail shows that, sometimes, the most interesting strategic branding case studies are just about understanding how to create a successful brand from scratch. Yellow Tail is a brand founded in 2001 by the Casella family from Sicily, who immigrated to New South Wales, Australia, in 1957. 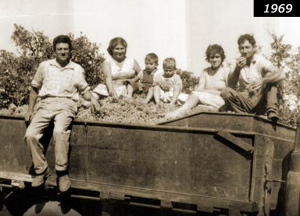 The family bought vineyards in 1965 and a winery in 1969. In 2001, the family decided to launch a new brand called “Yellow Tail” with an innovative brand positioning. The family vineyards did not have the same reputation as the ones in Europe, which is why the family could not pretend to target the same market of wine connoisseurs. Therefore, the Casella decided not to compete with French or Italian wines on characteristics such as quality, product complexity or vineyard prestige. Instead, they presented their brand as fun and approachable, and targeted a new type of wine consumer. In their academic paper, Kim & Mauborgne explained how Yellow Tail used what they call a “Blue Ocean Strategy”, which consists of escaping the overcrowded market (a red ocean where all the sharks are attacking each other) and diving into a blue ocean where there is no competitor. The oceans in question are markets, and in blue oceans, demand is created rather than fought over. So how was Yellow Tail able to start swimming in the Blue Ocean? According to The Wine Economist, it is because it is not just wine, but a new type of product within the wine industry. The company was able to identify and answer the needs of a specific and new market in the US by applying the four actions framework of the Blue Ocean Strategy, as used to help create value innovation. The following analysis was found in this article. 1) Reduce: Which factors should be reduced well bellow the industry’s standards? 2) Create: Which factors should be created that the industry has never offered? 3) Raise: Which factors should be raised well above the industry’s standards? 4) Eliminate: Which factors that the industry has long competed on should be eliminated? Yellow Tail’s first objective was not to compete with premium wines. The quality is not the same, even if the brand won several prizes such as Jimmy Watson and Stodart in 2004. What Yellow Tail did instead, was to create a wine that people would purchase because it tastes good, without thinking about the complicated rules of purchasing wine. Kim and Maurborgne explained in their book that “instead of offering wine as wine, Casella created a social drink accessible to everyone: beer drinkers, cocktail drinkers, and other drinkers of non-wine beverages”. Yellow Tail is easy to drink, easy to select, fun and adventurous. It puts a non-traditional twist on a traditional product, it tastes good and it’s made for everyday occasions, representing the Australian culture with its bold yet laidback image that thrives on adventure and fun. This innovative positioning within the wine industry is perfectly reflected through the four Ps of marketing: product, price, promotion and place. The packaging was designed with “no wine jargon”. The brand understood that many customers feel intimidated by traditional wine bottles covered with an elitist and sophisticated wine terminology that is often not very easy to understand. Therefore, the idea was to design a simple and unintimidating packaging with an unpretentious text and vibrant colors. Consumers can read the name of the grape variety, which is important to American consumers, on a simple label featuring an orange Kangaroo on a black background. The brand was also the first to use the same bottle packaging for both red and white wines, which allowed the company to simplify both the manufacturing and purchasing processes. These clearly-displayed wines stood out from the extensive choice of intimidating wines, with similarly designed bottles full of complicated terminology. 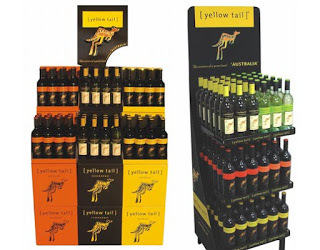 Whereas large wine companies developed their brands over many years of expensive marketing campaigns, Yellow Tail managed to lead the market without promotional campaigns, mass media or above-the-line advertising. Instead, it was promoted in-store with creative events. For example, the brand used the help of retail shop employees who acted as ambassadors and felt comfortable with the idea of promoting such a simple wine composition. The brand organized wine-tasting events in order for consumers to discover and sample the product. 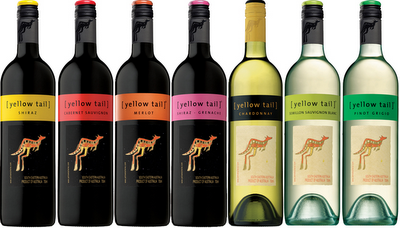 Finally, Yellow Tail’s clever packaging allows the brand to create an easily identifiable colorful “brand block” in store that stands out from the classic white labels of their competitors, sorted by countries, alphabetical order or by grape variety. The price is coherent with the rest of the marketing mix, and represents a wine of this category with a value of less than $10. However, it still remained a little bit more expensive than budget wines, and this is justified by the fact that the brands offers a new type of value. Thanks Marion, I'll be using some of the information for my Marketing Management discussion for my MBA. I read about Blue Ocean strategy about 5 years ago, and am blown away by what Cassella wines (Yellow tail) achieved in what most would consider to be a saturated market. Thanks Joshua, we are very glad you found this information interesting!